Big lives don’t fit in small frames. 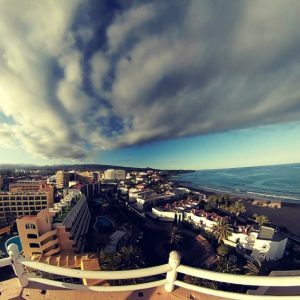 That’s why it pays to have a 360 camera. Lately, everyone from legendary athletes, to Jordanian royalty, to Star Wars actors, have been embracing Insta360’s easy-to-use camera attachments as a way to document and share their lives. We’re highlighting a few stars who know how to use 360 to capture a big moment, or to bring their fans right into the heart of a small one. 1. Francesco Totti — Capturing the torrential outpouring of love and respect that this superstar Italian footballer received when he retired over the weekend would have been impossible with a mere mortal’s camera. Maybe that’s why Totti reached for his Insta360 Nano when he attended this farewell celebration with fans. At writing, his 360 selfie has racked up over a million views. 2. Queen Rania Al-Abdullah of Jordan – The queen of Jordan is known for being a savvy social media user. 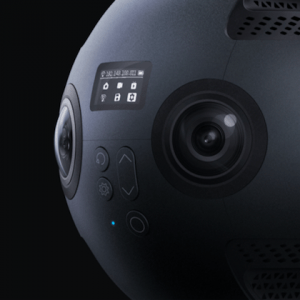 So it’s no surprise that she’s also a 360 camera early adopter. She grabbed her Insta360 Nano to document Jordan’s Independence Day festivities on her Instagram. 3. Martin Tomczyk – 360 is great for capturing sensory overload. So high-speed GT racing is a natural fit. BMW Motorsport driver Martin Tomczyk brought his Nano along to capture a driver’s-eye-view of a test lap on the Nordschleife track in the run-up to last week’s Nurburgring 24 Hours race. 4. Kim Kardashian – What, you thought she wouldn’t be on here? Kim K made her 360 debut alongside Emily Ratajkowski, Jennifer Connelly and Kiko Mizuhara, in a trippy Instagram clip captured by video artist Danilo Lauria on his Insta360 Nano at the 2017 Met Gala. Mizuhara, a supermodel and actress, liked the clip so much that she shared it on her own Instagram to the tune of 500k views. 5. John Boyega – Like no other format, 360 video can bring an audience into your world. So when Star Wars actor John Boyega wanted to share a behind-the-scenes experience with his fans during the 2017 Star Wars Celebration, he reached for his Insta360 Nano.